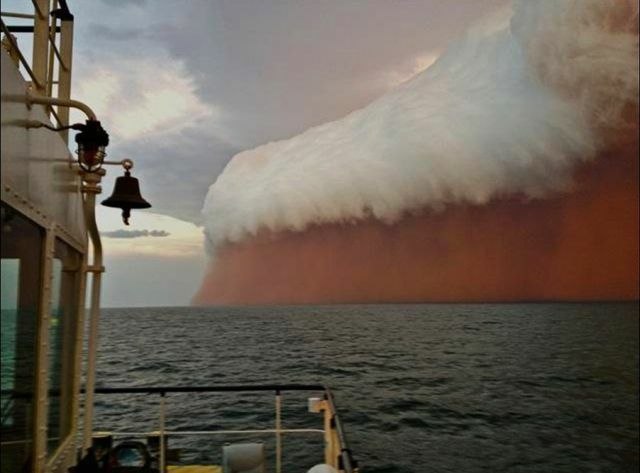 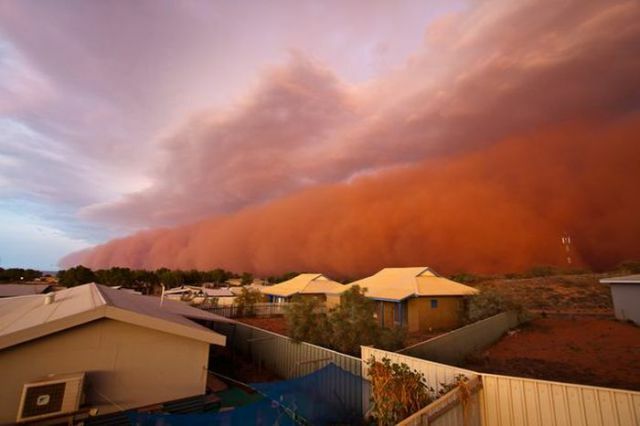 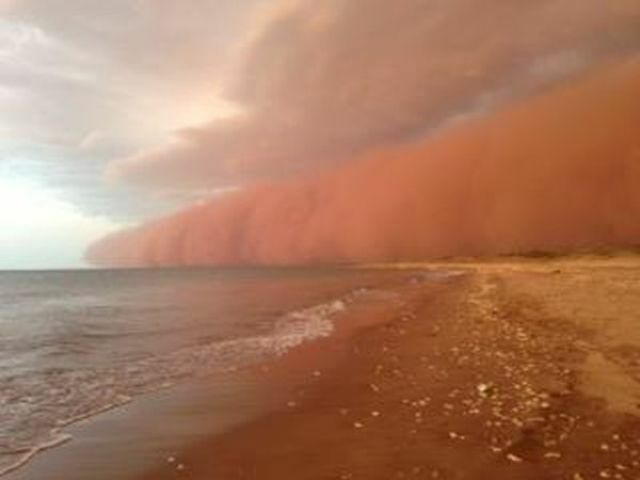 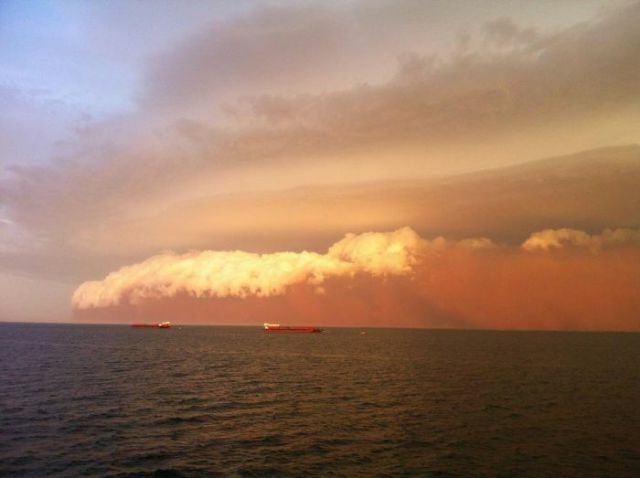 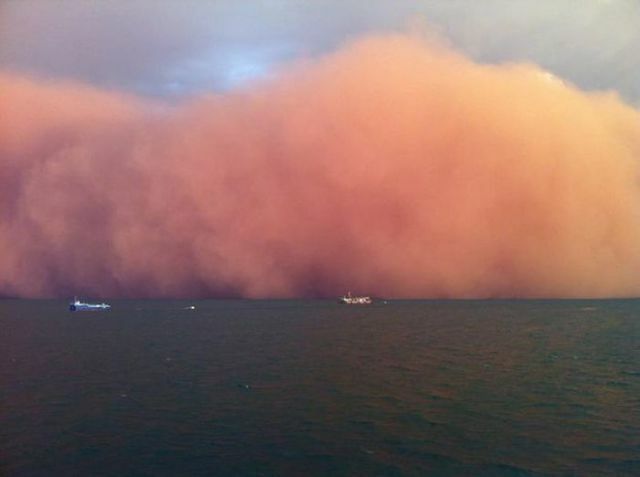 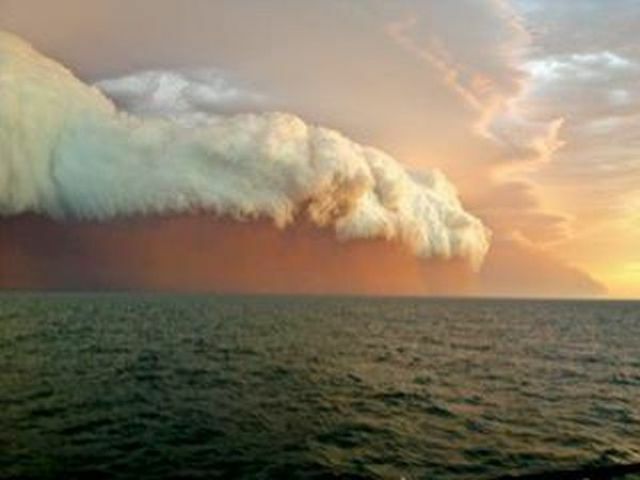 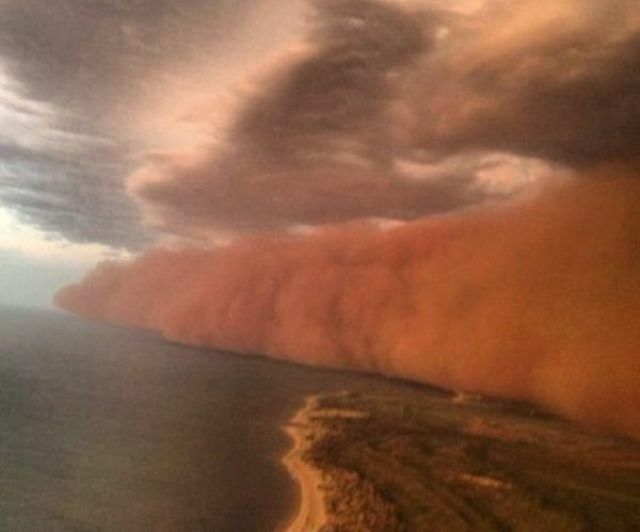 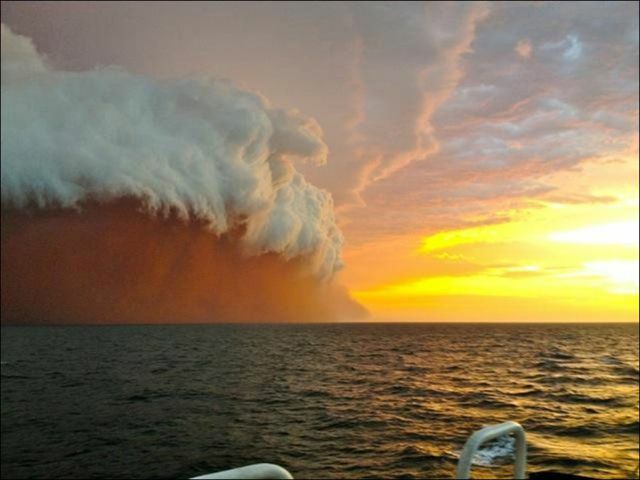 This rare and fascinating site is actually a dust wave that hit the Australian coastline last week. 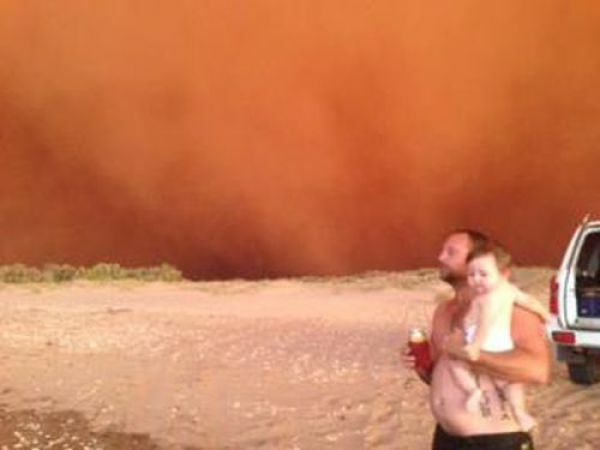 To date, no major damage has been reported. 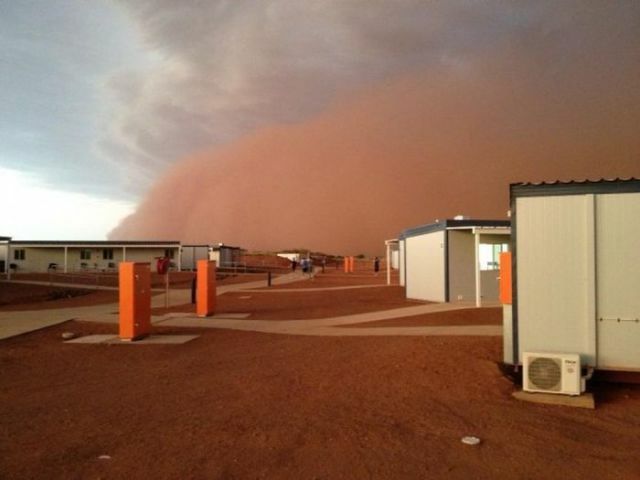 Just a dust storm people... nothing to see here.... cept weird freaky awesomeness.... hmm, Nothing to WORRY about here people.